HMD Global has certainly created a splash in the market with its revival of the Nokia brand, and its devices have earned mostly positive reviews so far. The company has now set its sight on winning a spot on the list of the top five global smartphone brands in the next few years. HMD’s ambitions are not empty goals, as they resonate in the impressive sales figures posted by Nokia smartphones in India, Russia, and Europe. Counterpoint analyst, Neil Shah, recently revealed that Nokia sold more smartphones than brands like Google, HTC, Sony and OnePlus to name just a few. Moreover, as per Counterpoint’s estimates for Q4 2017, Nokia barely missed a spot among the top ten global smartphone manufacturers, which is a sign of good things to come. The goal of cementing Nokia’s status as a top global smartphone brand was also expressed by HMD’s Chief Product Officer, Juho Sarvikas at the company’s press event at MWC. “Our long-term ambition is to be one of the top smartphone players globally”, he said, adding that the company aims to strengthen its position in the existing markets. 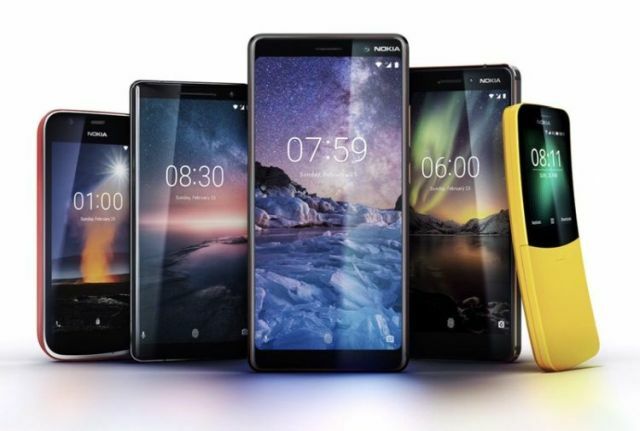 HMD Global expanded its portfolio of Nokia devices at MWC 2018 with four new smartphones and a feature phone, and also moved most of its existing line-up to the Android One program, which is a massive USP for any brand. These moves might further boost the sales figures of Nokia smartphones, and help realize the company’s dream of being a smartphone elite.